Prologue : “In the 12th century, at the close of the third Crusade to free the holy land a Saxon knight, called Wilfred of Ivanhoe undertook a private crusade of his own. England’s warrior king Richard the Lion-hearted had disappeared during his homeward march, vanishing without trace. His disappearance dealt a cruel blow to his unhappy country already in turmoil from the bitter conflict between Saxon and Norman. And in time, most of his subjects came to mourn him as dead. But Ivanhoe’s faith that his king still lived took him on an endless quest from castle to castle until, at last, he came to Austria…”. This is prologue of the MGM masterpiece film version of the 50’s of “Ivanhoe”. As can be understood, this film is very close to my heart. 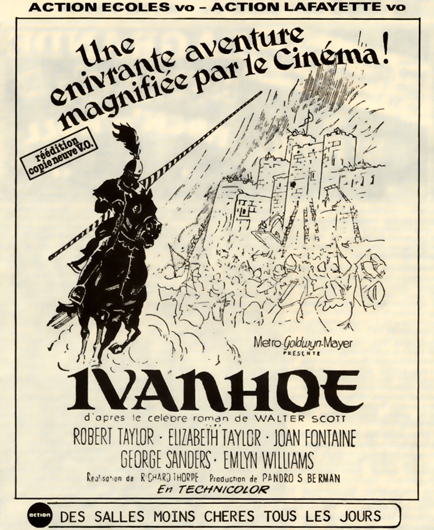 When I was a young boy, “Ivanhoe” was one of the few films that impressed me and it still remains, even after thirty years, one of my favorites and a great entertainment for all family generations. That’s why I think it is the right choice to accompany the Christmas period. 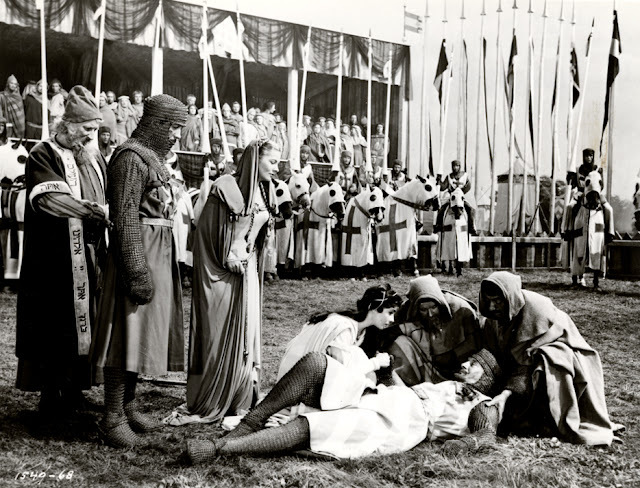 This film adaptation glorifies the generous ideals of chivalry of the High Middle Ages with a message of tolerance between people which, I feel, remains still valid today, in the same vain as “El Cid” (Anthony Mann / 1962) and “The War Lord” (Franklin J. Schaffner / 1965). 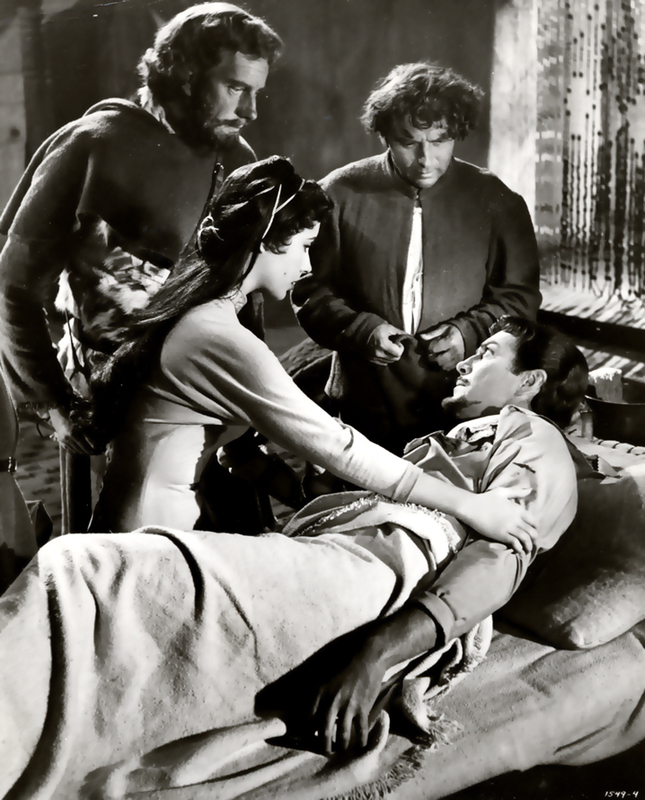 Of course, “The Adventures of Robin-Hood” (Michael Curtiz / 1937), “The Flame and the Arrow” (Jacques Tourneur / 1950) and later “Prince Valiant” (Henry Hathaway / 1954) were popular and still remain. 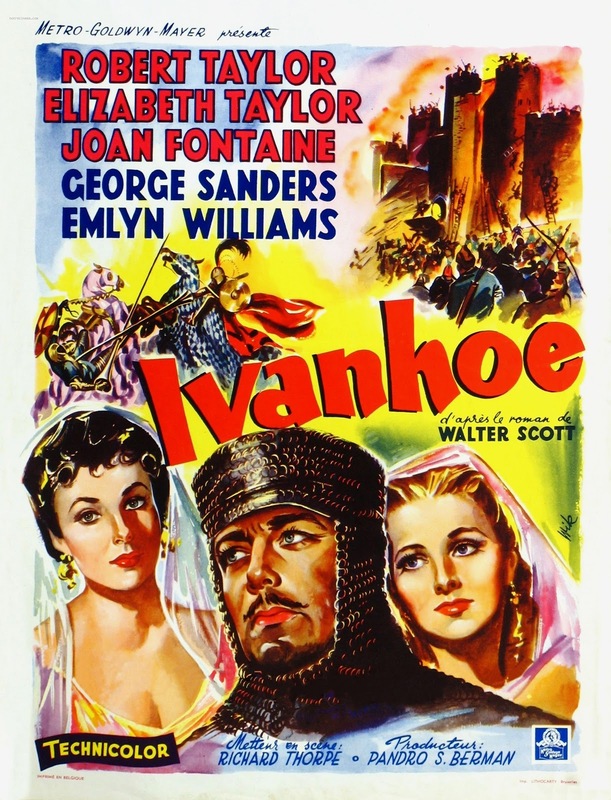 But to me, “Ivanhoe” is more than a very fine entertainment. 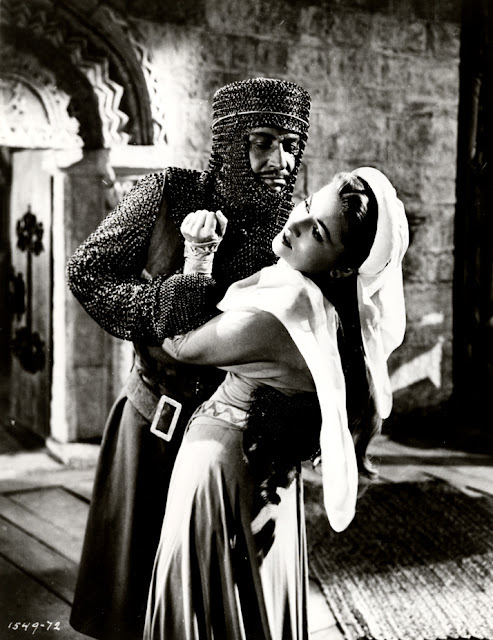 Before being made into a movie, “Ivanhoe” (1819) was one of the most famous novel written by Sir Walter Scott (1771-1832 / “Rob Roy” (1817) ; “Quentin Durward” (1823) ; “The Tales of The Crusaders” (1825)…). The huge success of Scott’s novels influenced the 19th century romantic period of literature and inspired many novelists all over the world, among them, the famous French writer Victor Hugo (1802-1885 / “Marie Tudor” (1822) ; “Ruy Blas” (1838) ; “Les Misérables” (1862)…). It is still a matter of inspiration, even today, if we refer to some recent epic movies such as “Rob Roy” (Michael Caton-Jones / 1995) and “Kingdom of Heaven” (Ridley Scott / 2005). The Third Crusade is finished. 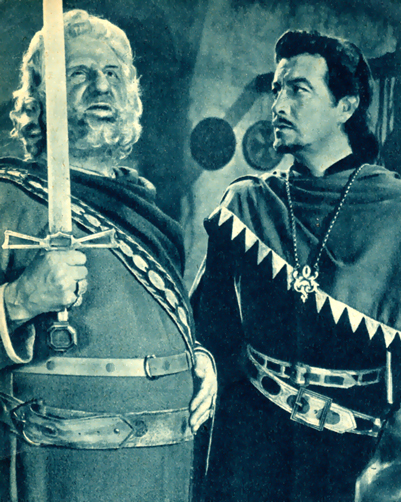 Wilfred of Ivanhoe (Robert Taylor), a Saxon knight, returns to England and finds out that King of England, Richard the Lionhearted (Norman Wooland), being held for ransom by Leopold of Austria for the enormous sum of 150,000 marks of silver. On his way back to his father’s house, he meets two Norman knights Sir Brian De Bois-Guilbert (George Sanders) and Sir Hugh de Bracy (Robert Douglas) with their men and takes them to his father’s castle, who is Cedric the Saxon (Finlay Currie). Here, the young Saxon knight tries to find help in raising the ransom from his father Cedric, a Saxon lord who despises the Norman king Richard the Lionhearted. Cedric refuses to help a “Norman king” and orders his son to leave his home. 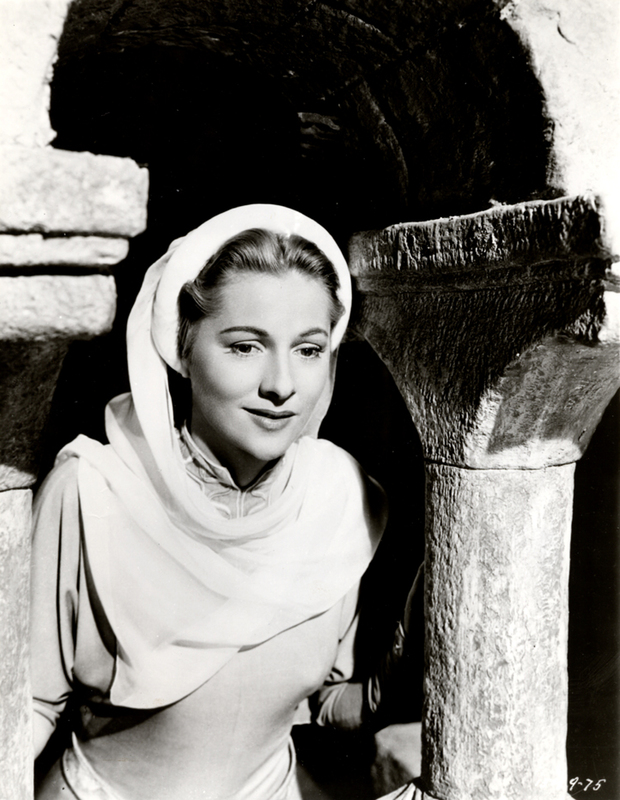 In the father’s house, Ivanhoe reunites with his love, Lady Rowena (Joan Fontaine), who is Cedric’s ward. 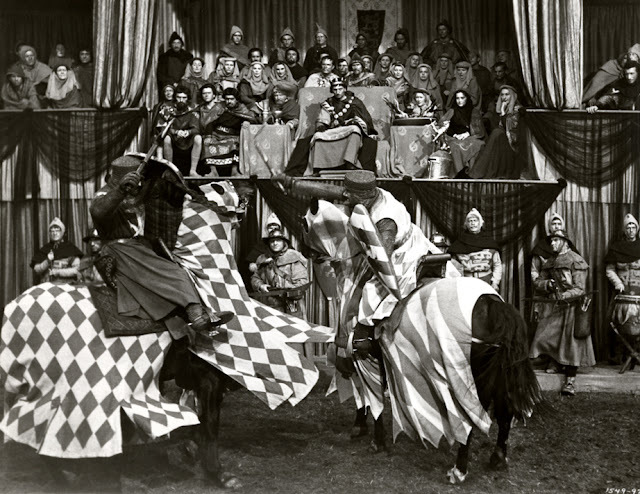 The loyal Wamba (Emlyn Williams), Cedric’s court jester, follows Ivanhoe and becomes his squire. 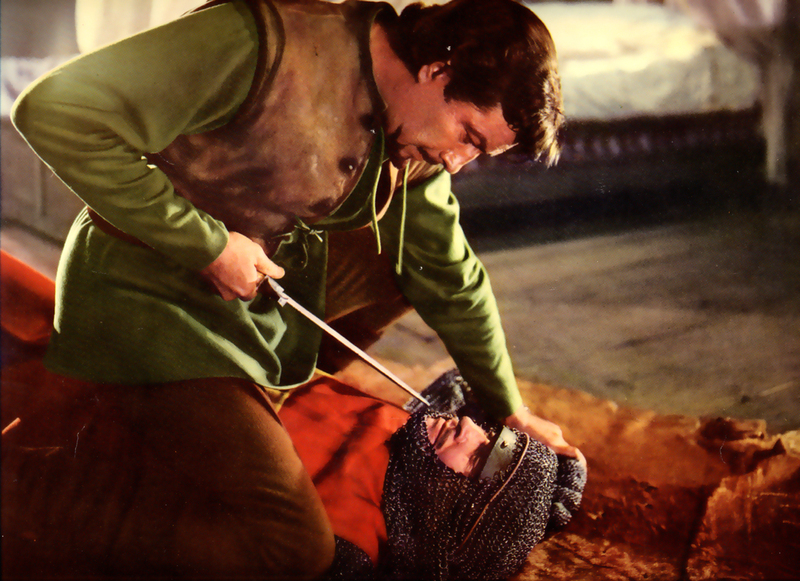 Leaving his Cedric’s castle, Ivanhoe rescues Isaac of York (Felix Aylmer), a wealthy Jew, from a band of anti-Semitic bandits. In gratitude, Isaac's beautiful daughter Rebecca (Elizabeth Taylor) finances Ivanhoe's entry into an upcoming tournament because he'd planned to use the prize money as a part of the ransom to free the captured King Richard. At the jousting fields of Ashby-de-la-Zouche, the valiant Ivanhoe defeats all Norman knights except De Bois-Guilbert, who seriously injures Ivanhoe who is carried off, tended and looked after by Rebecca. 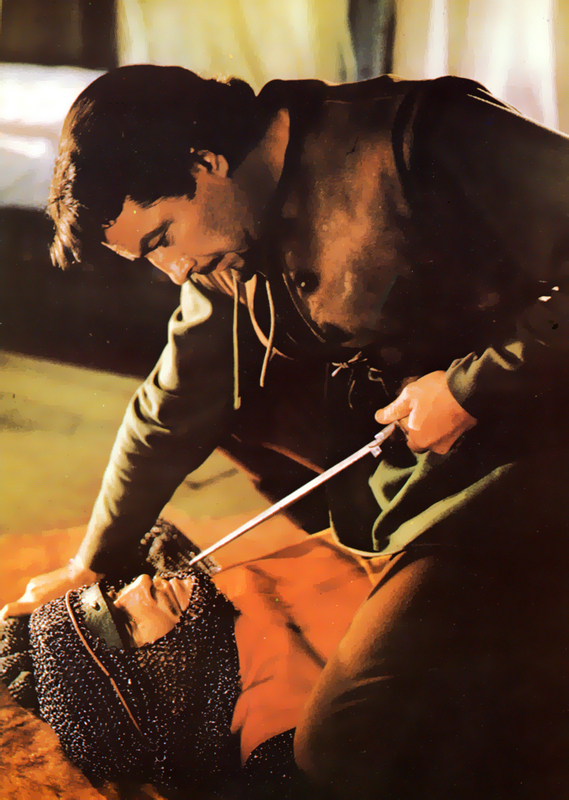 King Richard's wicked brother, Prince John (Guy Rolfe) plots to discredit Ivanhoe so that the ransom can never be paid. De Bois-Guilbert Joins Prince John’s conspiracy in the hope he can get Rebecca’s love. 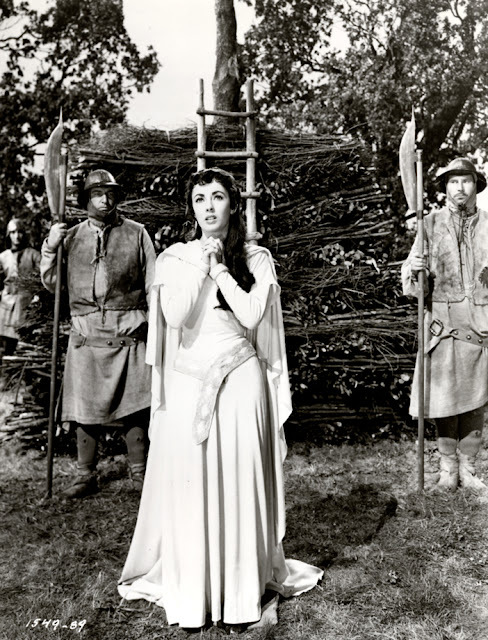 After several thrilling adventures (including the siege of Torquilstone castle by Robin-Hood’s men), Rebecca is kidnapped and condemned to be burned at the stake as a witch by a royal judgment. 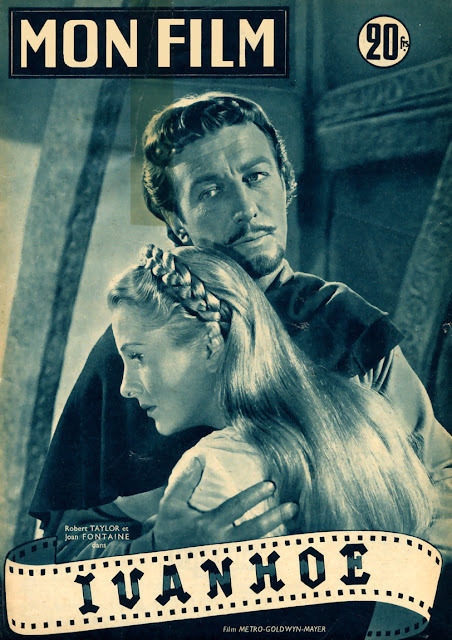 As a nobleman, Ivanhoe challenges the verdict on the fields of honor to defend the young girl against Sir Brian De Bois-Guilbert as royal champion. In the fight to the death, De Bois-Guilbert loses. 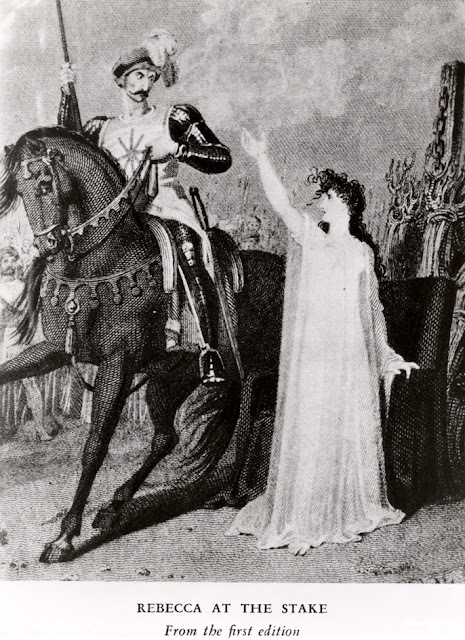 Before dying, Sir Brian reaffirms to Rebecca his love for her. 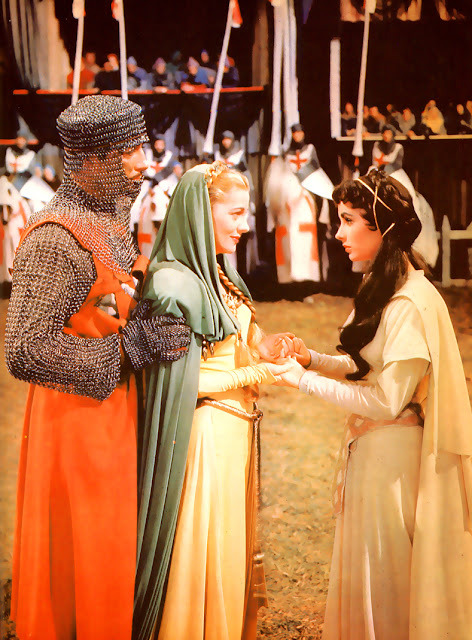 Rebecca accepts that Ivanhoe’s heart has always belonged to Lady Rowena. King Richard with his knights returns to reclaim his throne from his usurping brother and to restore the peace in England. Several film adaptations were planned from Scott’s novel. In the mid-thirties, producer Walter Wanger (“Cleopatra” /Joseph L. Mankiewicz (1963)) planned to film the story with Gary cooper, Madeleine Carroll and Sylvia Sidney, but nothing came of it. In 1951, the major part of MGM‘s decision to do the film in England lay in their London Bank accounts. The studio had piled up fortunes from the British release of their picture over the years and a portion of it was frozen by government decree. So the studio had no alternative, but to use the money only in England ! The clever producer Pandro S. Berman (“A Patch of Blue” / Guy Green (1965)) bought from RKO an Aneas Mac Kenzie’s film adaptation of the novel, from which Marguerite Roberts and Noel Langley wrote an excellent screenplay. Bearing in mind these skills, Berman hired Richard Thorpe who was known, at the time, as one of the best director of the MGM studios. Others brilliant technicians joined the team, among them : “Alfred Junge (as art director), Roger Furse (as costume designer), Frank Clarke (as film editor),Yakima Canutt (as second assistant director), Freddie Young (as director of photography) and Tom Howard (as visual effects photographer)”. Only top artists ! 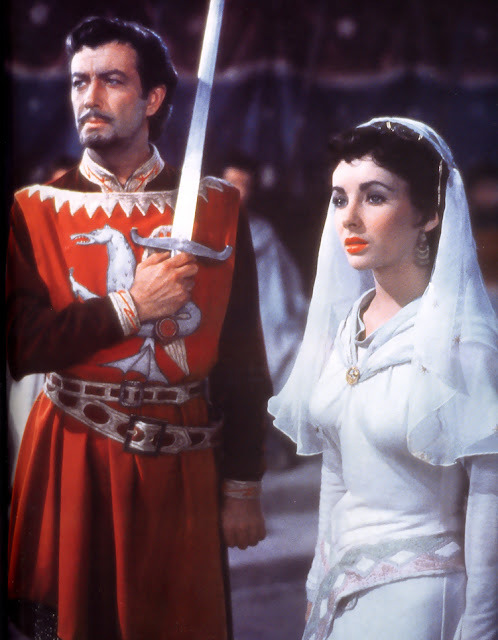 For a while, the English origin actor, Stewart Granger was considered to portray the noble knight Wilfred of Ivanhoe. 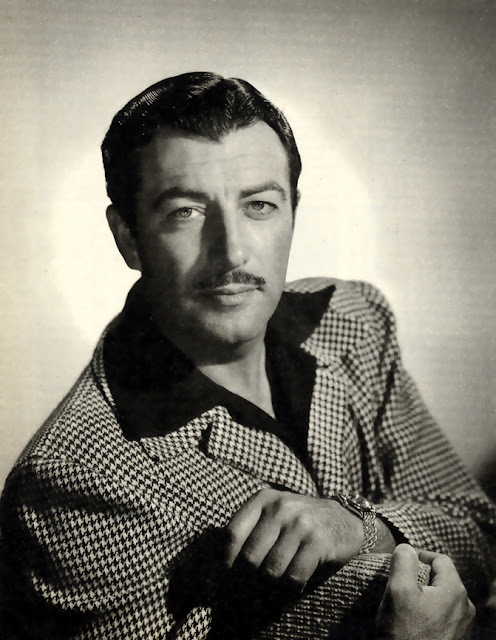 But after the huge success of the monumental epic movie “Quo Vadis” (Mervyn LeRoy / 1951), the versatile American Robert Taylor was considered the most appropriated choice. 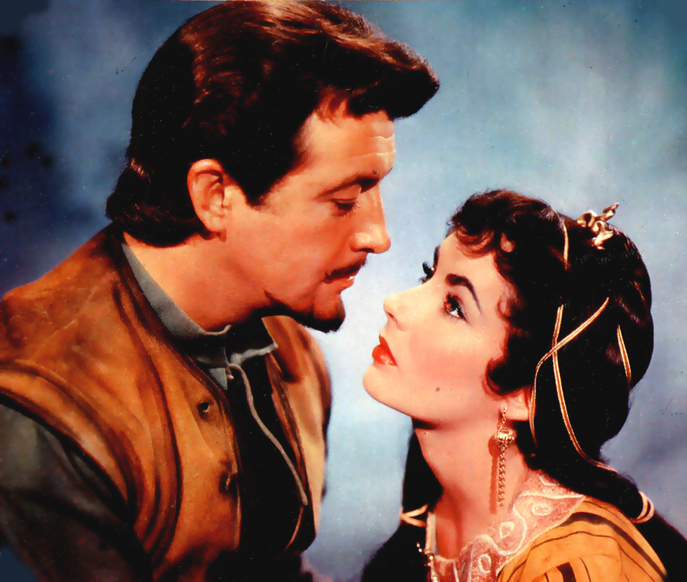 Then, MGM gave to Granger the title role in the vivid “Scaramouche” (George Sidney /1952)...turning out to be very wise choices for both movies. 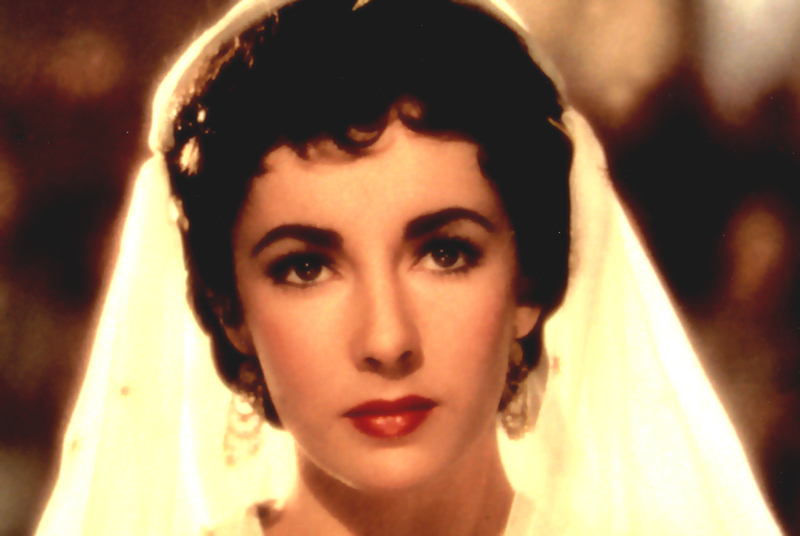 Dame Elizabeth Taylor hesitated to take the role of Rebecca offered by MGM. Then, the studio announced that Deborah Kerr would replace her while Margaret Leighton would likely portray Lady Rowena. But eventually, the young actress accepted the part and Joan Fontaine portrayed Lady Rowena. 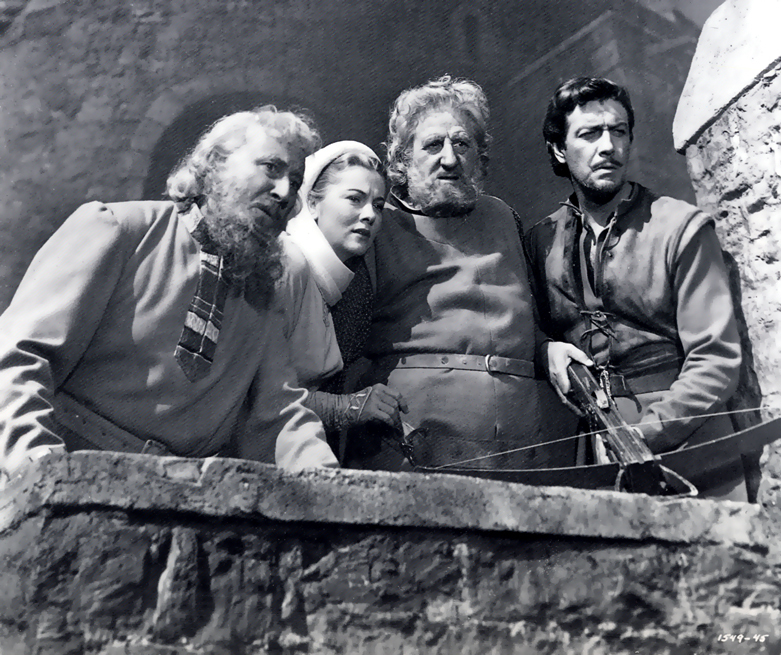 A host of talented British performers were also in the cast : “George Sanders (as Sir Brian De Bois-Guilbert), Finlay Curie (as Cedric the Saxon), Felix Aylmer (as Isaac of York), Emlyn Williams (as Cedric’s court jester), Guy Rolfe (as Prince John), Robert Douglas (as Sir Hugh de Bracy), Harold Warrender (as Locksley / Robin-Hood) and Norman Wooland (as Richard the Lionheart)…”. In July 1951, the shooting began in England at the Boreham Wood Studios (outside of London) and in Italy (Sprechenstein) for some exteriors. It ended in September of the same year. To recreate the High Middle Ages, the efforts of the production team were outstanding. Two years before the shooting, the Torquilstone Castle as a full-scale replica of a twelfth-century fortress, was built. 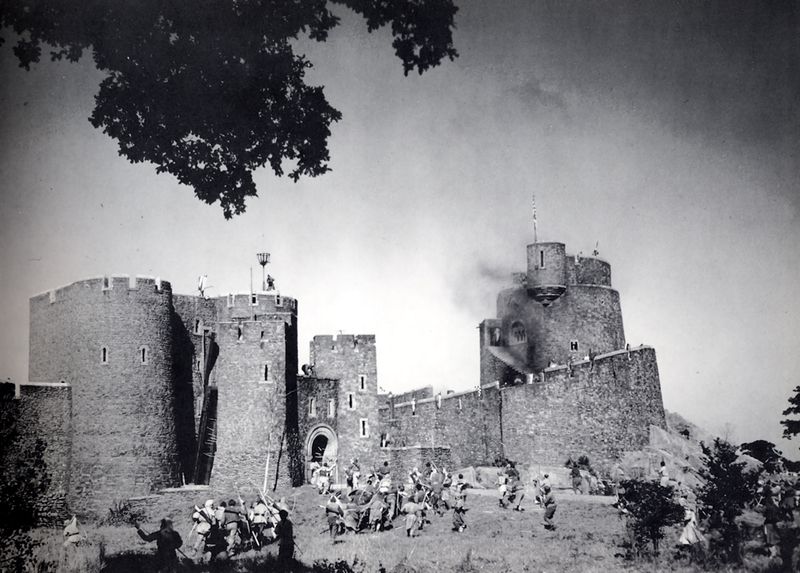 The moat was cut around the set and the castle was twenty feet wide and ten feet deep ! The recreation of the jousting fields of Ashby-de-la Zouche, was the second big challenge. It was brightly decorated with stands, pavilions, knightly tents and costumed horses. The movie called for the making of an armory of medieval weapons and costumes (arrows, swords, suits of chain-mail, shields, saddles, crossbows and maces) and required sometimes from five hundred to a thousand of extras. But above all, the Movie required an enormous “military organization” with one hundred of suitably horses and the collaboration of a professional stunt team, with the great Yakima Canutt (“Ben-Hur” / William Wyler (1959)). The American actor Robert Taylor gave a very convincing performance in the part of the Saxon Knight Wilfred of Ivanhoe. 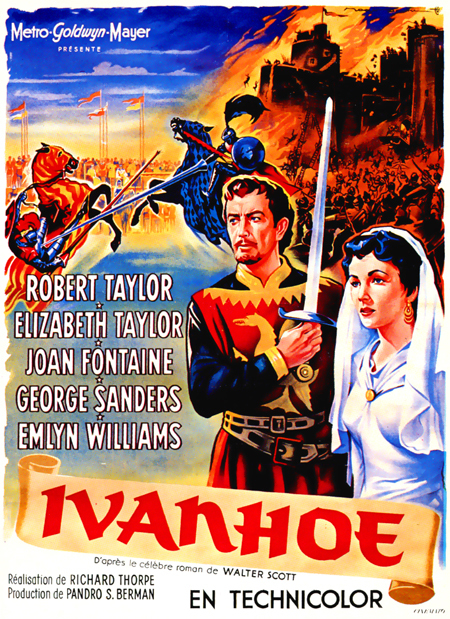 After “Quo Vadis” (1950), “Ivanhoe” got Taylor off to a whole new career as a medieval hero. 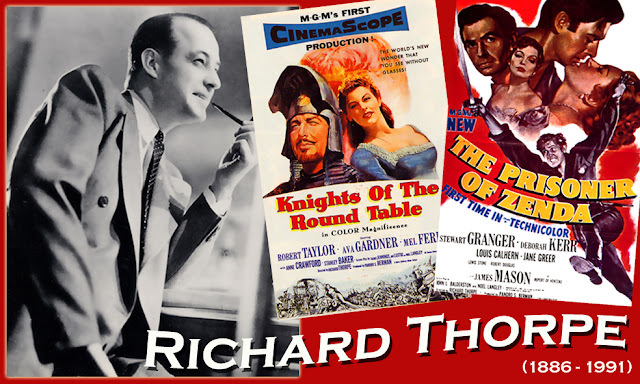 Richard Thorpe would use him again, with a very great sense of good taste, his looks and bearing in “The Knights of the Round Table" (1954) and “Quentin Durward” (1955) all produced by Pandro S. Berman with MGM. 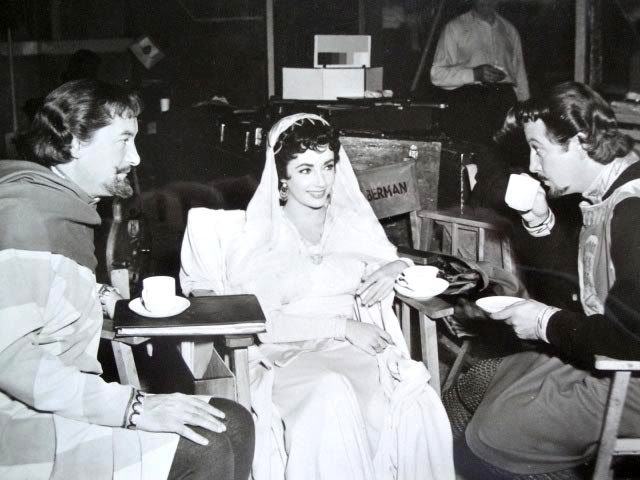 George Sanders, Elizabeth Taylor and Robert Taylor on the set. 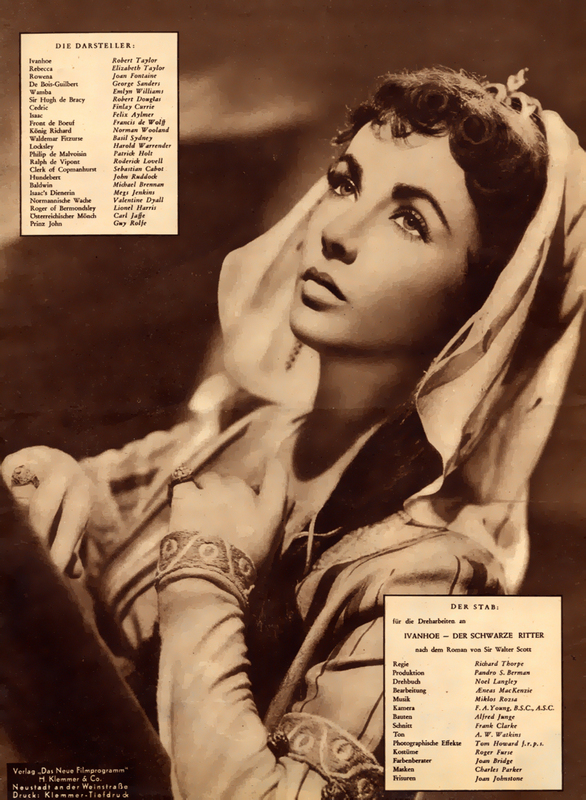 After “A place in the Sun” (George Stevens / 1951), the young and gorgeous Elizabeth Taylor gave for the second time a proof of her great talent in the major dramatic role of the Jewish maiden Rebecca. 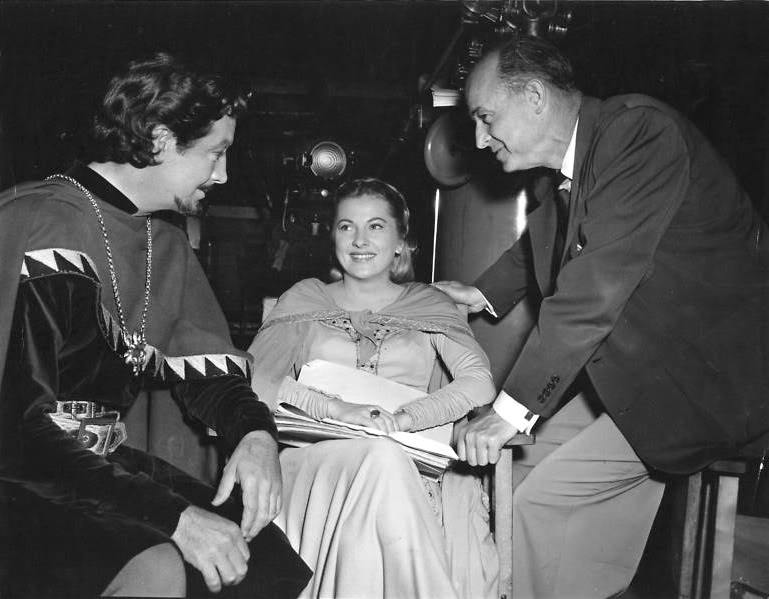 Robert Taylor and Joan Fontaine on the set. 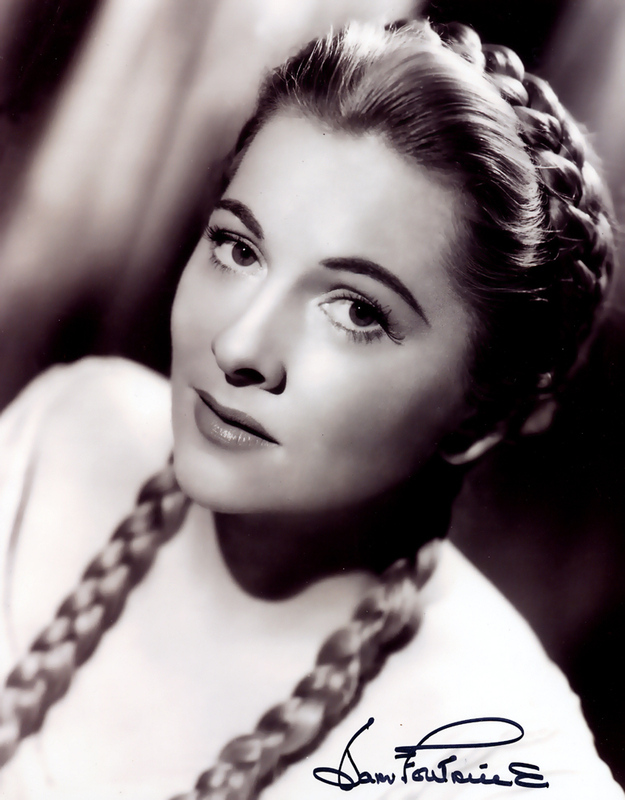 The high class actress Joan Fontaine (“Letter from an Unknown Woman” (Max Ophüls / 1948) ; (“Othello” (Orson Welles / 1952)…) played the prim and proper Lady Rowena. 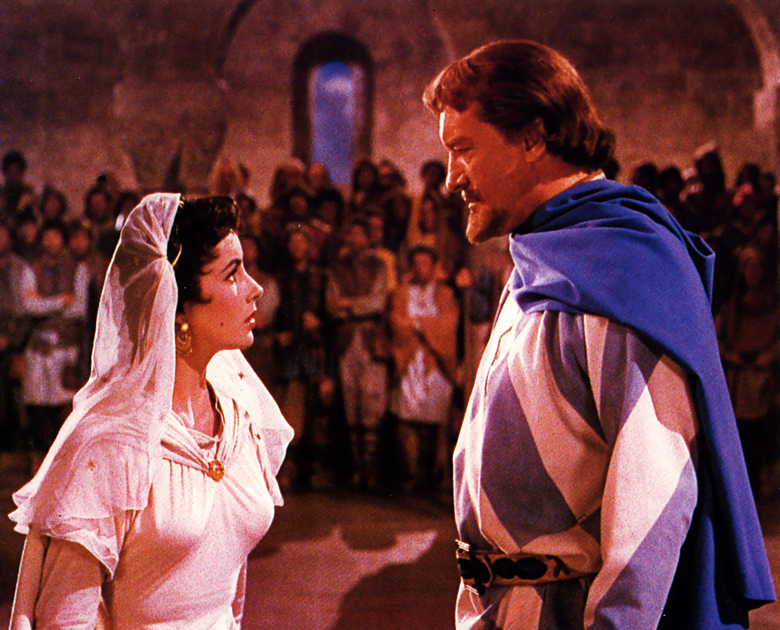 In face of Elizabeth Taylor, the beautiful actress gave an elegant performance as Ivanhoe's bride. George Sanders (“Samson and Delilah” (Cecil B. DeMille / 1949) ; “All about Eve” (Joseph L. Mankiewicz / 1950) ; “The Kremlin Letter” (John Huston / 1970)) gave, like always, an outstanding performance. Sir Brian de Bois-Guilbert, a Templar warrior, was the most complex and interesting role in the film. The death scene of his character is a very powerful and emotional moment. Here, Sanders gave to his part an extraordinary Shakespearean dimension. All the rest of the cast is just perfect. 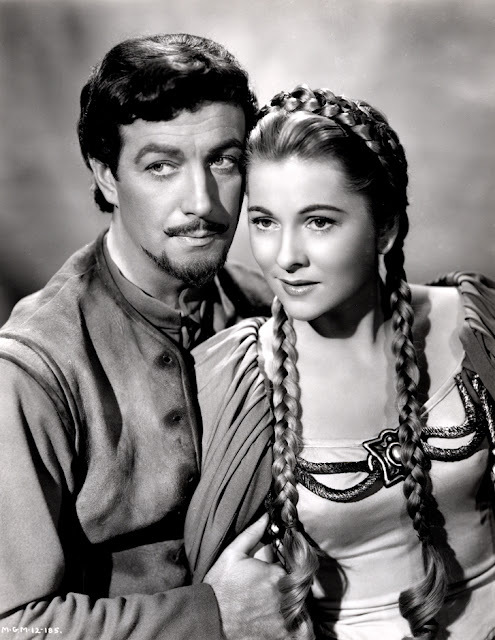 The Scottish origin actor Finlay Currie (“49th Parallel” (Michael Powell and Emeric Pressburger / 1941), “Quo Vadis” (Mervyn Le Roy /1951)…), who will be a great Balthazar in “Ben-Hur” (1959), played Cedric the Saxon, Ivanhoe’s father with a strong and great ability. In the same way, the English actor Felix Aylmer (“Quo Vadis” (Mervyn Le Roy /1951), “Exodus” (Otto Preminger /1960), “Becket” (Peter Glenville / 1964)…) played a wise Isaac of York and beloved Rebecca’s father. The Welsh origin actor, Emlyn Williams gave also a very good performance as the loyal Wamba, the Cedric’s court jester. Guy Rolfe (as Prince John) and Robert Douglas (as Sanders's sidekick Sir Hugh de Bracy) confirmed that they were born to play bad guys for our great pleasure. 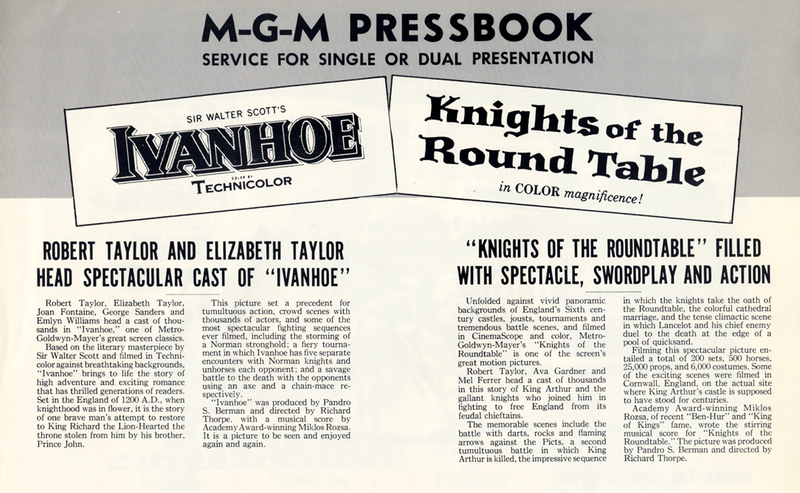 In the early 50’s, “Ivanhoe” was one of the few movies shoot in color with the contribution of the Technicolor laboratory. The work of the legendary cinematographer Freddie Young (“Lawrence of Arabia” (David Lean / 1962), “The Mission” (Roland Joffe / 1986)) was prodigious. 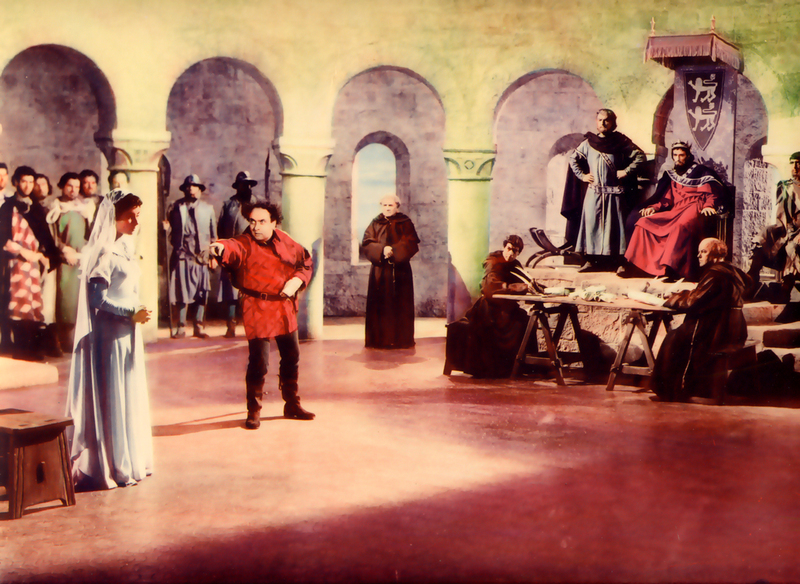 Never before had the photography of an adventure medieval film been so beautiful and well used especially for the action scenes, except perhaps, the outstanding work of Tony Gaudio and Sol Polito, the cinematographers of “The Adventures of Robin-Hood” (1937). The results of this MGM’s masterpiece extended the technical limits of the photography in the industry of the period and beyond. With the other legendary British cinematographer Jack Cardiff, Freddie Young proved that he was one of the greatest professional of his time. A great step was passed. 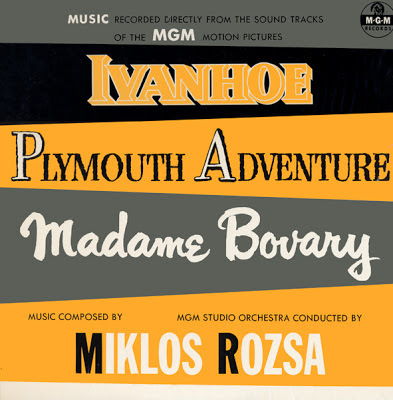 When MGM asked Miklós Rózsa to compose the score of “Ivanhoe”, he was already known like a very versatile composer in Hollywood. He was hired by the MGM studios in 1949 and signed important scores among them two classic movies : “Madame Bovary” (Vincente Minnelli / 1949) and “The Asphalt Jungle” (John Huston /1950). 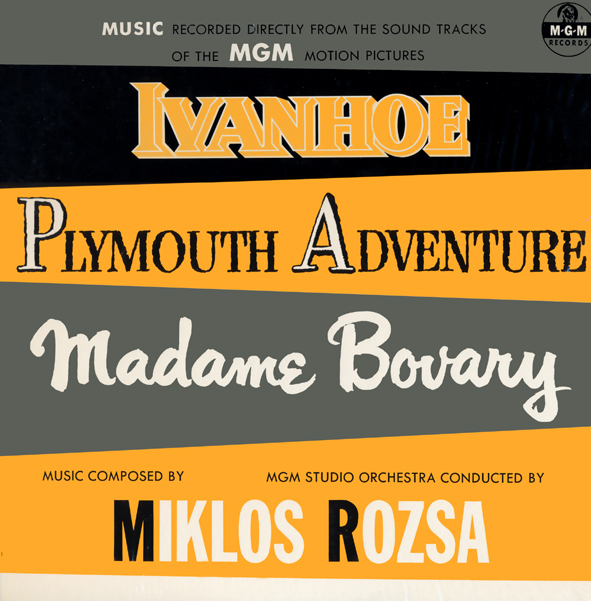 “Ivanhoe” was the 11th music score between “Quo Vadis” (1950) and “Plymouth Adventure” (1952) that he composed for the American studio. The MGM years (1949 – 1968) were probably the second most prolific period of the film composer’s career, of which the peak was the masterpiece epic movie “Ben-Hur” (1959) winning his 3rd Academy Award for “Best Music Score” ! 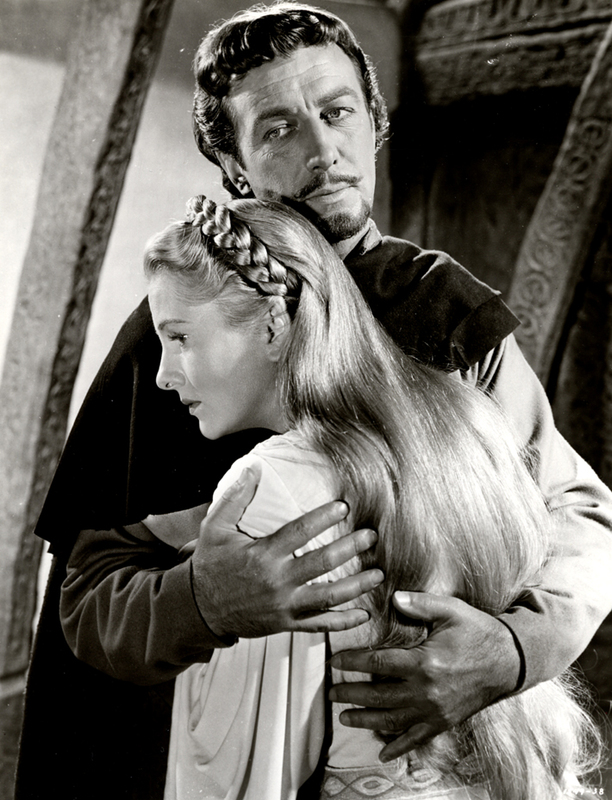 Beside « BEN-HUR », « QUO VADIS », and« EL CID », what were the other epic movies that you liked to compose ? « IVANHOE » for instance ? This movie was shot in London and the music was written in Hollywood. I took a great pleasure in working on that movie because I read the novel when I was young in Hungary and liked Sir Walter Scott’s novel. Mr Richard Thorpe directed it but I never discussed about the music or anything else with him. He only said to me « Hello, How are you ? ». The movie was put in my hands and the MGM executives said to me : “well, please go ahead. Do what you want… ” ». I liked this way of working very much because I needed nobody to tell me what to do and how to do it. This project interested me because it was so close to my heart. In his book, “The Great Adventure Films” (1976), the film music historian and close friend to the composer, Tony Thomas praised the work of Rózsa and the colossal efforts of the MGM studios to make the movie a masterpiece of the adventure medieval film. To Rózsa fans, the music of “Ivanhoe” remains one of the greatest score of his American period, just after the talented British productions of Alexander Korda for the London Films studios (“Knight without Armor” (1937), “The Four Feathers” (1939), “The Thief of Bagdad” (1940), “That Hamilton Woman “ (1941) and “The Jungle Book” (1942)…). Everyone who like the score will agree with me that without Miklós Rózsa’s music, the film could have lost 50 % of his attraction and I can’t imagine another music in place of it ! For a long time, only a short suite from the original score was available on a LP–combined with selections from “Madame Bovary” and “The Plymouth Adventure”. Then, in 1994, the Intrada Label produced a CD in his Excalibur Collection, of a new recording of the complete score. Douglas Fake was co-producer, Tony Thomas was the project coordinator with Kathleen Mayne and Daniel Robbins (Orchestral reconstruction). The Sinfonia of London was conducted by Bruce Broughton. A great recording ! Fifty years after the first world release of the movie, Rhino Label with Turner Entertainment produced a new album CD (2002) including most of the cues from the 1952 original score. In 2009, Lukas Kendall completed this issue with his Private Label FSM in producing a 15 CDs Box (“Miklós Rózsa Treasuary”) with the missing tracks from MGM original studio tapes. I want to conclude this tribute to the composer, with a statement from the LP Album “The Spectacular Film World of Miklós Rózsa - Edition one” (1985) written by another friend of the great artist and film music historian, Christopher Palmer (orchestrator / Assistant of Elmer Bernstein and Maurice Jarre). 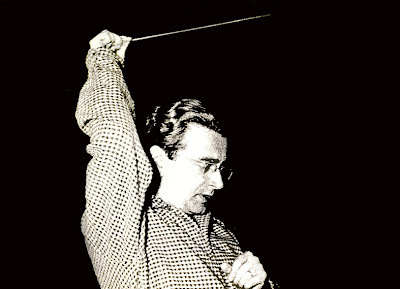 “Listening to the music of Miklós Rózsa affords a rare satisfaction – more, a sense of exhilaration : “That of the listening to music which is supremely well composed. Not all composers, particularity in the sphere of film music, compose well, or even competently, but Rózsa is one of them. … For him, music is a glorious human language - above all human – forever growing yet never growing old. Rózsa has mastered it exceptionally…””. The premiere of the movie took place in the summer of 1952 at the Radio City Music Hall, New York. It became quickly a smash hit ($1,310,590 at the box office, in his opening of 39 days !). “Ivanhoe” took more than $6 million, making it MGM's biggest earner for 1952 and one of the top four money-makers (ahead of “Singing in the Rain” (Stanley Donen)). The Film was nominated for three Academy Awards (“Best Picture, Best cinematography, color and Best Music Scoring) and for the Golden Globe Award (Best Film Promoting International Understanding and Best Motion Picture Score). In addition, Richard Thorpe was nominated by the Director’s Guild of America, USA for Outstanding Directorial Achievement in Motion Pictures and Miklós Rózsa lost the Oscar against Dimitri Tiomkin’s “High Noon” (Fred Zinnemann / 1952). Bad luck ! For the record, it can be remembered that in the subsequent years, several movies from Scott’s Ivanhoe were also produced (I forget the TV series with Roger Moore in his youth). As far as I can know, these movies were never shown outside England, although James Mason played Isaac in one of them. The first time I saw the Metro’s 1952 “Ivanhoe”, I was nine years old. I have never forgotten this wonderful moment. To me, it is the perfect movie which can awake the noblest feelings in the heart of mankind : “loyalty, love, faith and friendship”. 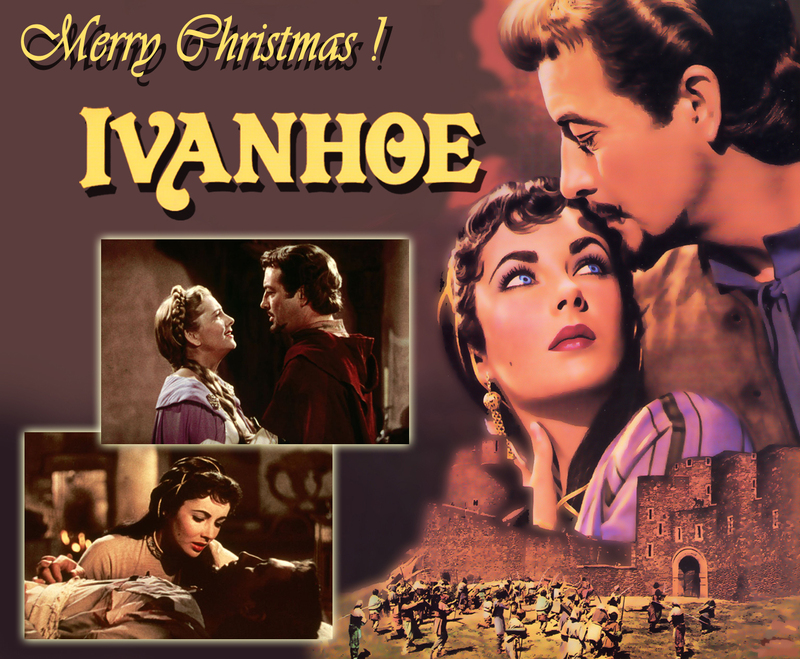 “Ivanhoe” contains all the ingredients for a very good adventure film (magnificent fights, beautiful costumes and impressive sets) together with strong and intelligent message of tolerance. That’s why it is a great epic but at the same time, an uncommon romantic entertainment. Although, the Metro adaptation is quite different from Scott’s novel, I think that the movie is more romantic than the original story. 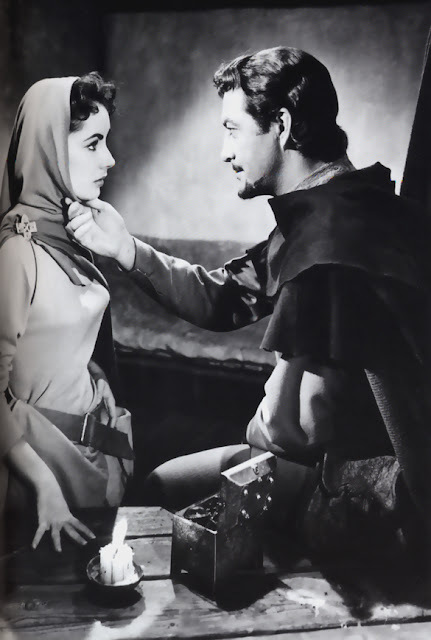 The conflicts between each main character are more realistic and especially the loving rivalry between George Sanders (as Sir Brian) and Robert Taylor (as Sir Wilfred) for the Elizabeth Taylor - Rebecca’s love. I hope that many will share the same pleasure in watching the movie again and again…. I dedicated this review to children all over the world and especially to those who have not the luck to live in a loving and peaceful country. 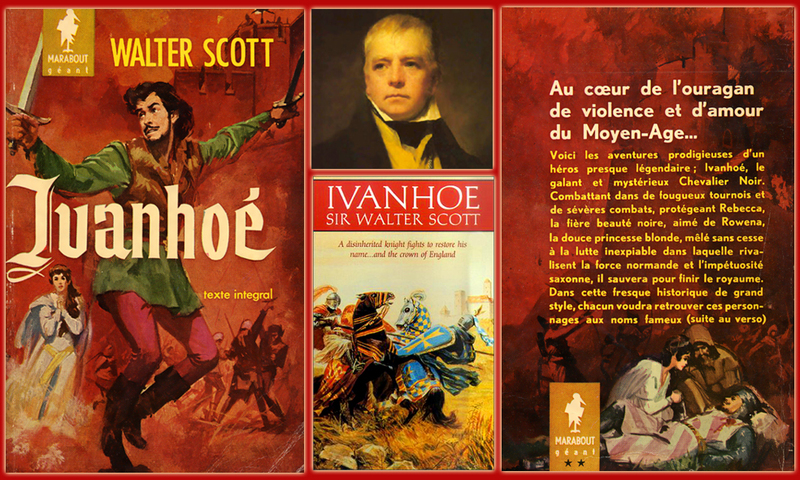 “Ivanhoe” by Sir Walter Scott (in English), Empire Books, 2011, USA. “Ivanhoe” by Sir Walter Scott (in English), Penguin Classics (Paperback) New Edition, 2000, UK. “Ivanhoe” by Sir Walter Scott (in French, translation by G. De La Ruwiere), Ref. G 10, Marabout Géant, Des Presses de Gérard & Cie, Belgium. “Ivanhoe” by Sir Walter Scott (in French), Livre de Poche Jeunesse, 2009, France. “The Films of Robert Taylor” by Lawrence J. Quirk (in English), 1975, Citadel Press Book, USA. “The Films of Eizabeth Taylor” by Jerry Vermilye and Mark Ricci (in English), 1976, Citadel Press Book, USA. “Elizabeth Taylor” by Patrick Brion (in French), 2010, Riveneuve Collection Cinéma, France. Autobiography of George Sanders, “Memoires of a Professional Cad” (in English), 1992, Scarecrow press, Lanham, Maryland, (Foreword by Tony Thomas), USA. Autobiography of George Sanders, “Mémoire d’une Fripouille” (in French, Translation by Romain Slocombe), 2004, Presse Universitaire de France (Foreword by Tony Thomas), Paris, France. “The Great Adventure Films” by Tony Thomas (in English), 1976, Citadel Press Book, USA. “Le Film d’Aventure” by Patrick Brion (in French), 1995, Edition de la Martinière, Paris, France. “Double Life” by Miklós Rózsa (in English), 1982, Hippocrene Books Inc, New York, USA. “Rózsa” by Christopher Palmer (in English), 1975, Breitkopf & Härtel, Wiesbaden, GB. “Spellbound, The Miklós Rózsa Music Society”, Newsletter S1, July 1978, Australia. “Spellbound, The Miklós Rózsa Music Society”, Newsletter S2, October 1978, Australia. “Music for the Movies” by Tony Thomas (in English), 1973, Barnes Tantivy, USA. “Film Score : The Art & Craft of the Movie Music” by Tony Thomas (in English), 1991, Riverwood Press, USA. 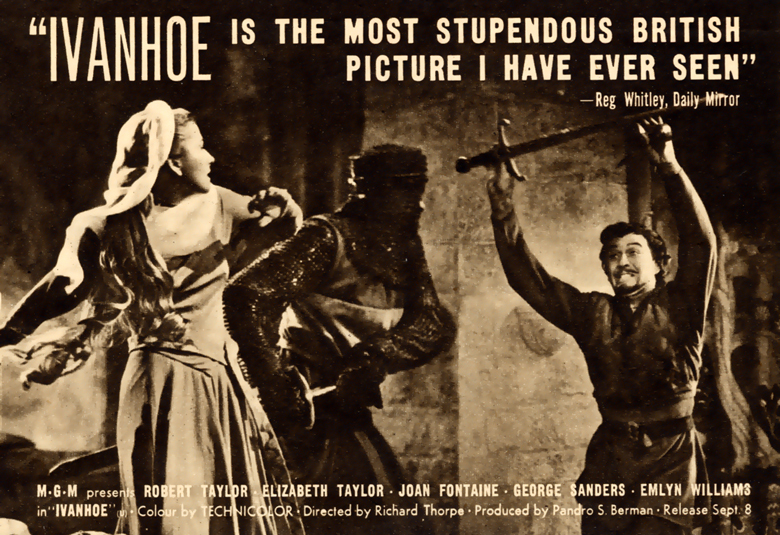 “Ivanhoe” by Richard Thorpe, 1952 / 2005, Warner Home Video, US DVD All Zone, Ref.N° B0006B2A6U, Full Screen Edition, NTSC, 1.33.1. Languages : English English (Dolby Digital 1.0 Mono) and French (Dolby Digital 1.0 Mono), English, French and Spanish Subtitles. 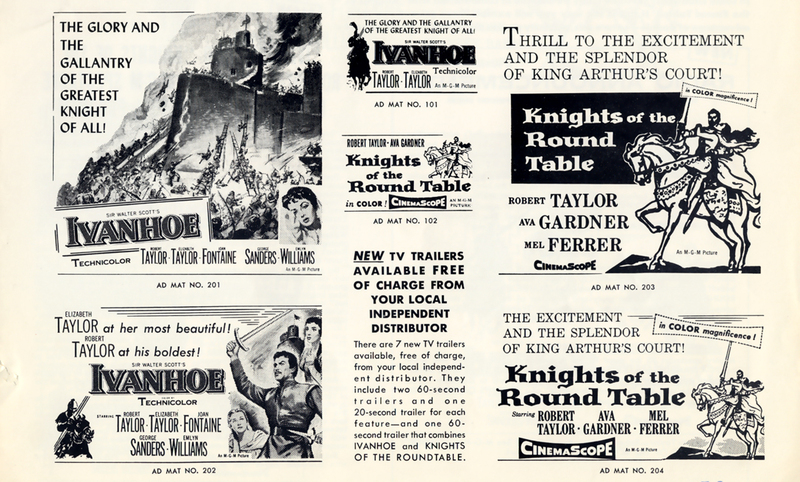 (Special Features : “Oscar-winning Tom and Jerry cartoon "The Two Mouseketeers" and Swashbuckler movie trailer gallery (“Ivanhoe”, “Scaramouche” and “The Knights of the Round Table”)). 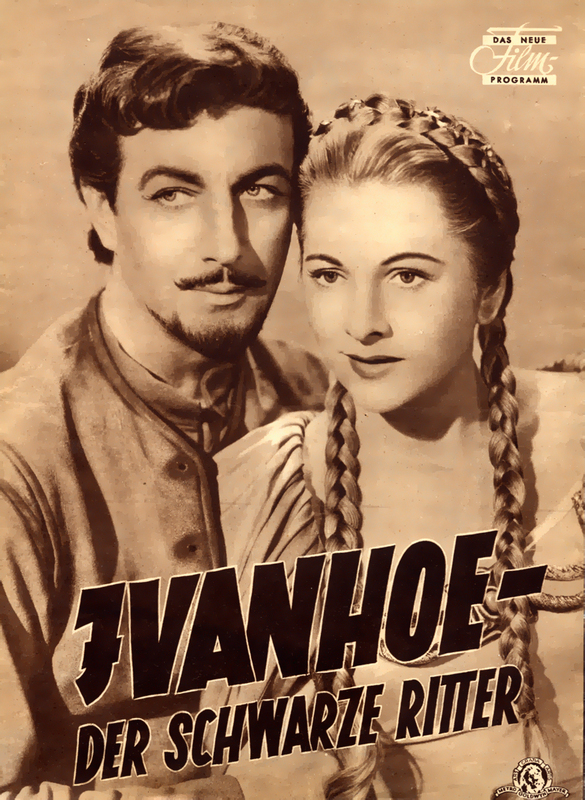 “Ivanhoe” by Richard Thorpe, 1952 / 2007, Warner Home Video, French DVD Zone 2, Ref. N° 6515400, Full Screen Edition, Pal, 1.33.1. Languages : English English (Dolby Digital 1.0 Mono) and French (Dolby Digital 1.0 Mono), French Subtitles. LP Album of “Ivanhoe” and “Plymouth Adventure”, 1952, MGM E179 10, Monophonic Sound, USA. LP Album, Music recorded directly from the sound tracks of the MGM Motion Pictures, “Ivanhoe”, “Madame Bovary” and “Plymouth Adventure”, 1957, MGM Records, MI 1394 and (SU 1021), USA. 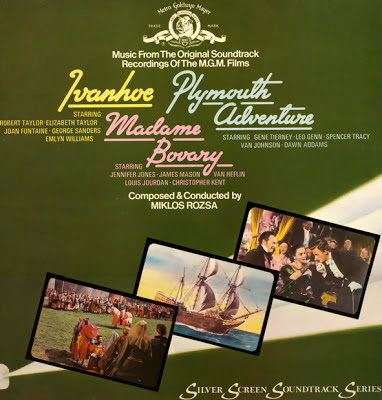 LP Album of “Ivanhoe”, “Madame Bovary” and “Plymouth Adventure”, 1975, Silver Screen Soundtrack Series, MGM 2353 - 095, England. 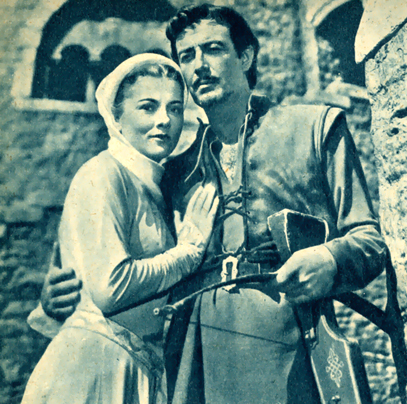 CD Album of “Ivanhoe” by Miklós Rózsa (Original Score of 1952), 2002, Rhino RHM 2 7772, USA. CD Box of 15 discs “Miklós Rózsa Treasuary (1949-1968)”, (CD N°13 contains the missing tracks of the Original Score of 1952, 2009, FSM Box N°4, USA. CD Album of the Rerecording of the complete Score of “Ivanhoe” by Miklós Rózsa, Bruce Brughton conducted the Sinfonia of London, Intrada / The Excalibur Collection, 1994, MAF 7055D, USA. ( http://store.intrada.com/s.nl/it.A/id.797/.f). 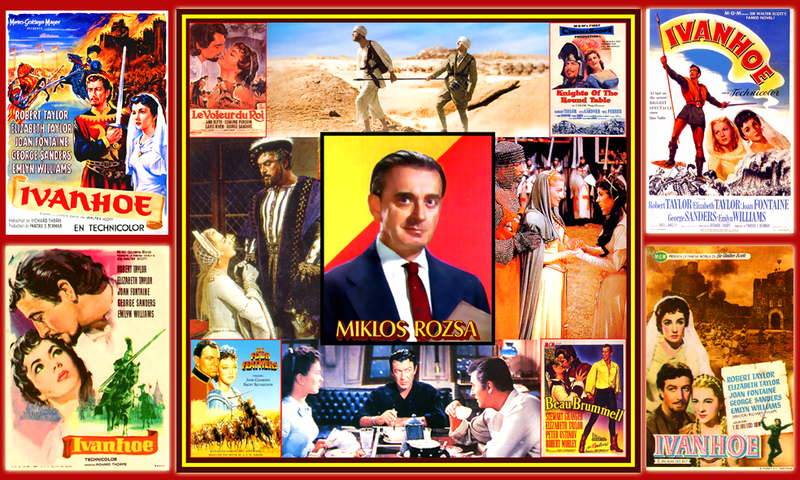 CD Album of “Spellbound : Classic Films Score of Miklós Rózsa”, RCA Red Seal / Sony Music Entertainment, 2011, Ref. 88697 81269 2, New York, USA. Charles Gerhardt conducted the Overture of “Ivanhoe” with the National Philharmonic Orchestra. This album contains Symphonic suites from “The Red House”, “The Thief of Bagdad”, “The Lost Weekend”, “The Four Feathers”, “Double Indemnity”, “The Jungle Book” and “Spellbound”. 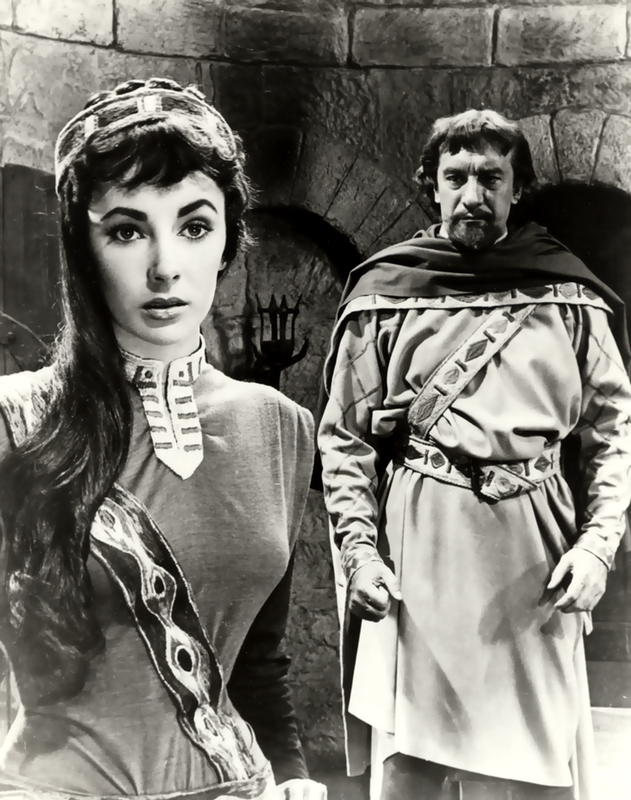 De Bois-Guilbert : "Rebecca, You must blame the Fates that I was I who loved you and not Sir Ivanhoe". De Bois-Guilbert : "But you were always mine and only mine. God keep you". Rebecca : “Milady, in death he spoke the truth". Lady Rowena : “You still love Ivanhoe ?” . Rebecca : “No, Milady. I stole a little happiness, perhaps but not from him or you only from my dreams. His heart was always yours". King Richard : “Before me knells a notion divided. Rise as one man, and that one for England !". Long Live England ! Long Live England ! NB : My thanks to Mr Alan Hamer, the European Representative of the Miklós Rózsa Society for his friendly contribution.